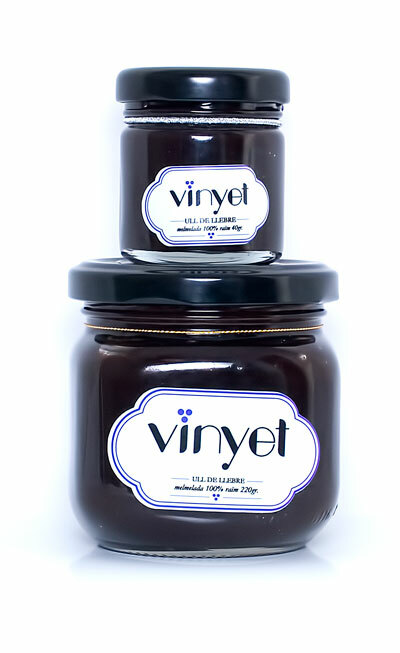 Our jams are handmade from grapes themselves. The harvest is made by hand and after that we put them in the workroom. Before starting the transformation process the grapes are cleaned and poured in the destemmer to ease the process of shelling. Then we cook the jam to get it without added sugars or other additives. We produce MACABEO jam, XAREL·LO jam, MUSCAT jam, MERLOT jam and TEMPRANILLO jam. The Macabeo jam, Xarel·lo jam, Muscat jam are white grapes, softer, recommended to accompany soft cheeses, foie gras and creamy. The Merlot and Tempranillo are more consistent because the husks of grapes contribute to its astringency. These varieties nicely accompany a brie-type cheese and other more cured and any kind of meat such as grilled or roasted.